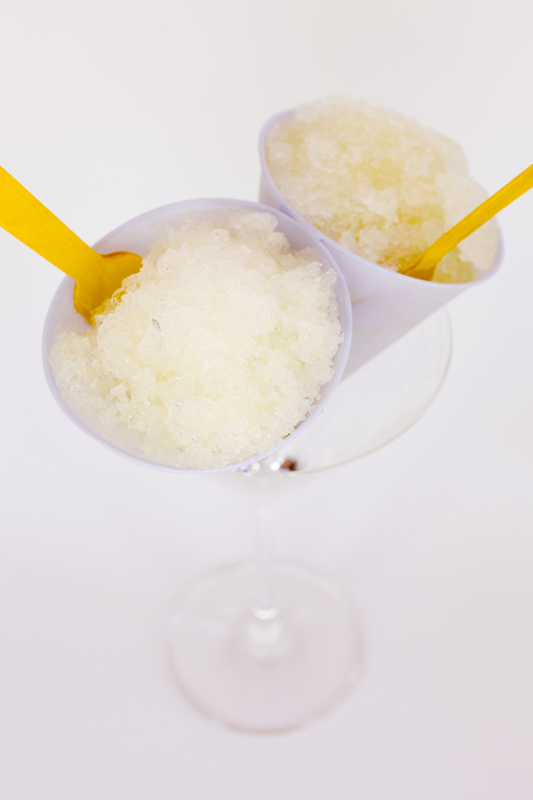 This post on limoncello snow cones concludes the trio of limoncello recipes I’ve served up this week. The first two recipes (limoncello floats and limoncello cupcakes based on the floats) both used ice cream. But, on a sticky, smoldering day, nothing beats plain old ice – gritty, crunchy, and so cold that you can only handle a little bit at a time. Grownup limoncello snow cones made with a refreshing minty limoncello syrup are worlds more sophisticated (and tasty) than plain ice cubes, more natural than the bright blue stuff you’ll find at your local snow cone stand, and a totally chic way to end a cocktail party (or any adult gathering) on a summer’s eve. 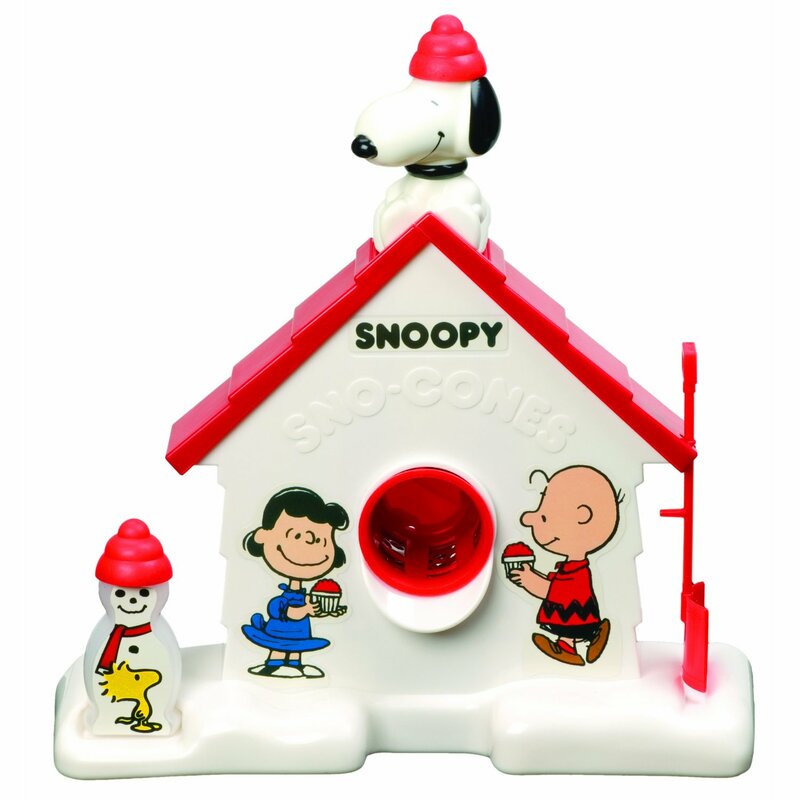 Coming in at around $25, there is the classic Snoopy Sno-Cone Machine. I’ve never owned one, but I posted about it on the Cupcake Project Facebook page last night and some said they loved it, while others said that it didn’t work that well and was too much effort. For just about the same price, you can get a less fun looking, but (according to the reviews) more functional ice shaver from Hamilton Beach. Or, you could do what I did, and buy a $500 Vitamix blender. OK – I didn’t buy this blender just to shave ice, but it was this recipe that pushed me over the edge to make the purchase. 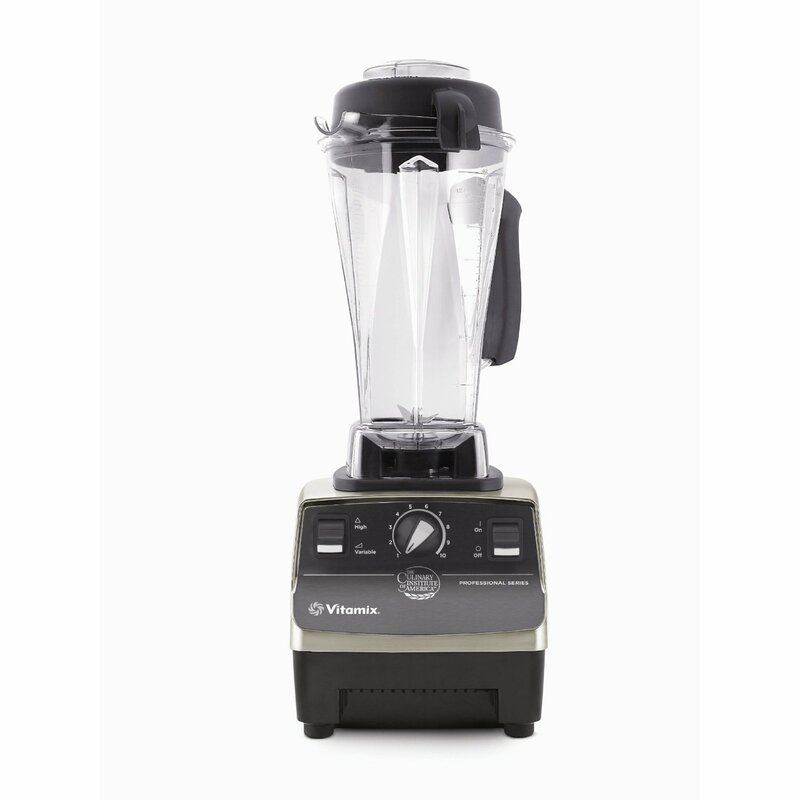 I knew that I was going to buy one eventually (our blender was on the outs and I had heard countless raves about Vitamix). 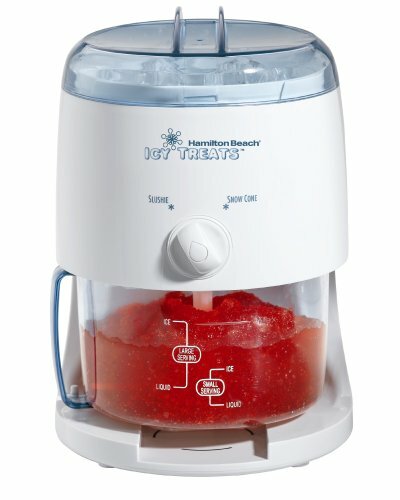 Since I was going to get one at some point, I figured now was as good a time as any – no need to buy a snow cone machine that I would be giving away once I got a blender powerful enough to shave ice. Once you’ve shaved your ice, you’ll need some snow cone cups. Sure, you could use any cups or glasses. But, a snow cone is not really a snow cone unless a cone is involved. The cones were surprisingly hard to find. Some of the snow cone machines come with cones. Of course, my Vitamix did not. 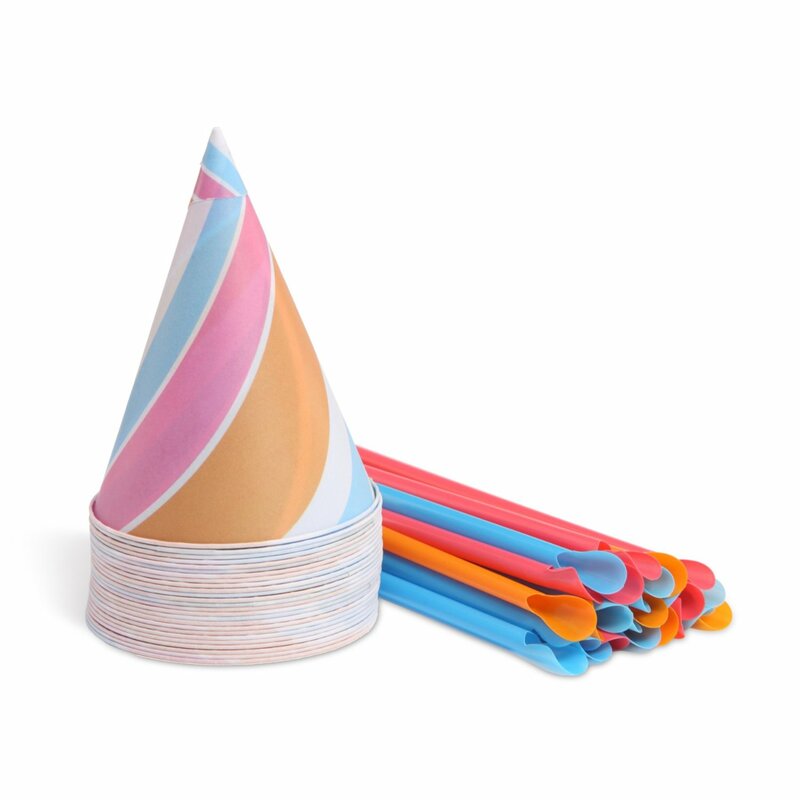 I tracked down plain white ones at Williams-Sonoma, but I also adore the stripey ones on Amazon (shown above). Snow cones are typically served with special snow cone straws (shown with the cups above), but I opted to serve mine with cute wooden spoons from Sucre Shop. OK, you’ve got your ice in cones and you’ve got your straws/spoons; now, all you need to do is to pour limoncello syrup all over them! See my limoncello cupcake post to learn how to make limoncello syrup. Hmmmm. Limoncello. Not sure I understand the fascination. Last time I tasted it I thought I accidentally got into the Mr. Clean! Am I missing something?! I just got back from Italy. I brought back an ungodly amount of Limoncello from Sorrento. Between the floats, cupcakes and now the snowcones.. GAME ON!!! Thanks! 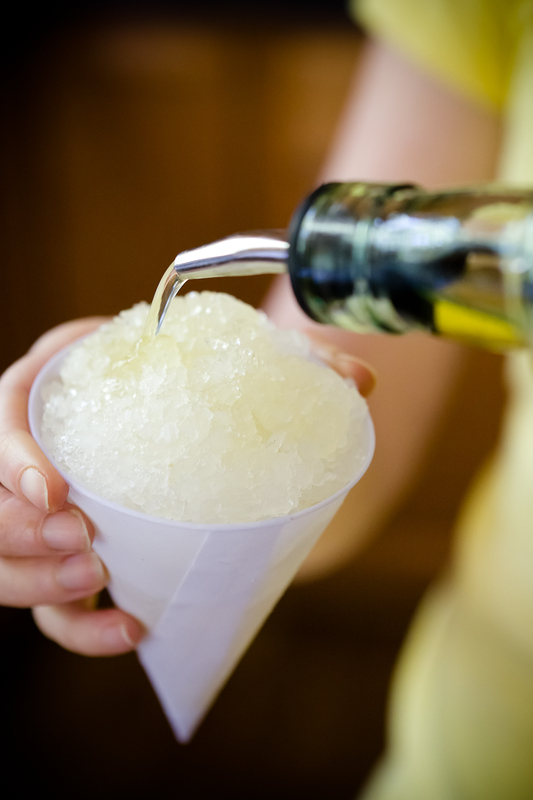 I love limoncello … and I can only imagine how great a limoncello snow cone would be! You can submit your limoncello snow cones pics on http://www.foodporn.net It is a food (and drink of course) photography site where members can submit all food (and drink of course (again) LOL ) pictures that make readers hungry. My kids would go wild for this. ummmmm this is NOT a kids friendly recipe.